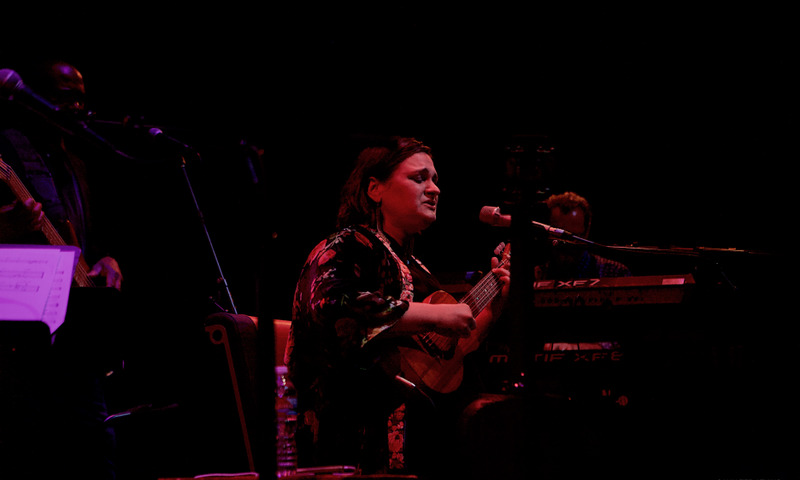 Popular singer/songwriter Madeleine Peyroux came to Berkeley's long running Freight & Salvage venue to fill a four night standing room only engagement. 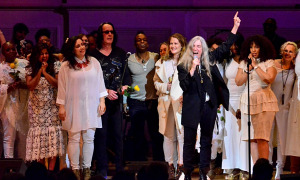 The veteran recording artist also brought a sparkling new band and featured songs from her current album Anthem, inspired by the late Canadian songwriter/poet Leonard Cohen who passed in 2016. The opening act was the provocative New Orleans based singer-songwriter Carsie Blanton. The enjoyable and funny session, accompanied by her acoustic bassist, showcased her latest release So Ferocious. One of her numbers included a portion played with a pink kazoo. When she finished, Blanton graciously thanked Peyroux for giving her the opportunity to perform. 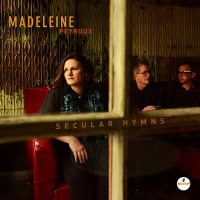 Peyroux's current band consisted of: Aram Bajakian guitar, Graham Hawthorne drums, Andy Ezrin keyboards and Paul Frazier bass. The Friday night's comprehensive set list was a nice balance that covered her existing catalog and also featured fresh songs from the current album Anthem. She mentioned the influential Cohen was one of her favorite writers. The list of songs included: "Dance Me To The End Of Love." 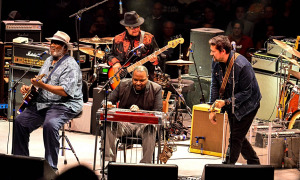 "You're Gonna Make Me Lone," "La Java," "Don't Wait Too Long," "All My Heroes," "Anthem," "Brand New Deal," "Sunday Afternoon," "Honey Party," "Lullaby," "Everything I Do is Gonna Be Funky," "I'm All Right," "Half A Perfect World," "Fun Out Of Life," "Careless Love." The double encore included the tracks: "You Can't Catch Me," and "La Vien Rose." After the break, Peyroux took the stage for an opening guitar solo. The amiable couple sitting next to me, Curtis and Patty were also enjoying the music. She was a Peyroux fan and had suggested seeing tonight's artist on their date. Tonight was his first time seeing and hearing her music. 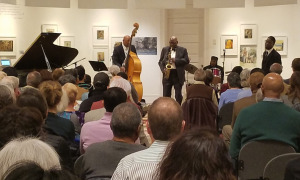 At the conclusion of the evening, he commented it was definitely worth dealing with the traffic, and he enjoyed the concert. 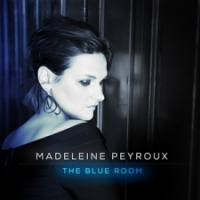 One of Peyroux's qualities is her story telling and she peppered her set with personal comments throughout the evening. She talked about her travels in Europe and the United States. The full house was receptive to her new tracks as well as the older classics from her catalog. The somber "Brand New Deal" featured social and political commentary with backing vocals from her vibrant band members. Later in the performance, another patron thought the music had a melancholy tinge in some of the songs. 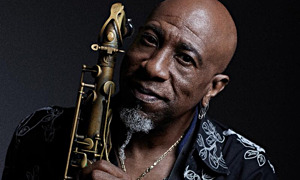 The amusing story for "Honey Party" about a vain bee had people laughing with a knowing wink.Her version of the Allen Toussaint classic "Everything I Do is Gonna Be Funky" had the house quietly tapping and smiling. After the double encore, the full house gave responded to Peyroux and her band with a loud and solid round of applause. 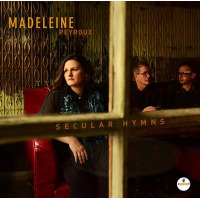 Madeleine Peyroux's packed show and new band reflect her professional and the personal growth in her twenty plus year career. 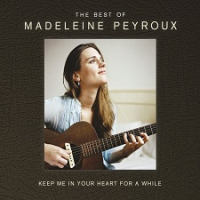 Her supporters were looking forward to another twenty years of Peyroux's personal style of music.